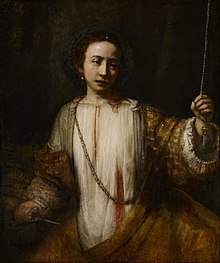 Rembrandt's Lucretia in Minneapolis and the version from the National Gallery of Art in Washington, D.C., were shown together in 1991–92. The institute received gifts from Clinton Morrison and William Hood Dunwoody, among others, for its building fund. In 1911, Morrison donated the land, formerly occupied by his family's Villa Rosa mansion, in memory of his father, Dorilus Morrison, contingent on the institute's raising the $500,000 needed for the building. A few days later the institute received a letter from Dunwoody, who got the ball rolling: "Put me down for $100,000." A fundraising dinner a few days later brought in $335,500, donated in 90 minutes. The new museum, designed by the firm of McKim, Mead and White, opened in 1915. The building came to be recognized as one of the finest examples of the Beaux-Arts architectural style in Minnesota. The art historian Bevis Hillier organized the exhibition Art Deco at the museum, presented from July to September 1971, which caused a resurgence of interest in this style of art. The building was originally meant to be the first of several sections, but only the front piece built. Several additions have subsequently been built according to other plans, including a 1974 addition by Kenzo Tange. An expansion designed by Michael Graves was completed in June 2006. Before the latest expansion, just 4 percent of the museum's nearly 100,000 objects could be on view at the same time; now that figure is 5 percent. Target Corporation, for which the new wing is named, was the biggest donor, with a lead gift of more than $10 million. In 2015 the Institute rebranded itself, dropping the final "s" from its name, to become the Minneapolis Institute of Art and encouraging the use of the nickname Mia instead of the acronym MIA. Kaywin Feldman became director and president of the Institute in 2008. During her tenure, attendance doubled, digital access was emphasized, and social justice and equity programs were adopted. In December 2018, she was named to be the next director of the National Gallery of Art, and will take that office in March 2019. The museum features an encyclopedic collection of approximately 80,000 objects spanning 5,000 years of world history. 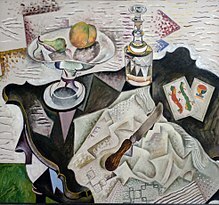 Its collection includes paintings, photographs, prints & drawings, textiles, architecture, and decorative arts. There are collections of African art, art from Oceania and the Americas, and an especially strong collection of Asian art, called "one of the finest and most comprehensive Asian art collections in the country". The Asian collection includes Chinese architecture, jades, bronzes, and ceramics. The institute owns the Purcell-Cutts House, just east of Lake of the Isles. The house was designed by Purcell & Elmslie and is a masterpiece of Prairie School architecture. It was donated to the museum by Anson B. Cutts Jr., the son of its second owner. The house is available for tours on the second weekend of each month. The museum houses the Minnesota Artists Exhibition Program, an artist-controlled program devoted to the exhibition of works by artists who live in Minnesota. The Museum Library contains more than 60,000 volumes on art and art history. The library is open to the public. The William Hood Dunwoody Fund, endowed with one million dollars when Dunwoody died in 1914, has been used to purchase thousands of works. Bruce Dayton, a life trustee of the institute since 1942, insisted that money raised in the $100 million fund-raising campaign for the Target wing, which opened in 2006, be split evenly between the building and the acquisitions endowment. That fund, now at $91 million, has allowed the institute to buy a rare early 18th-century Native American painted buckskin shirt and a nine-foot-long topographical View of Venice made by Jacopo de' Barbari in 1500, among other recent purchases. In 2009, the value of the museum's $145 million endowment had fallen 21 percent from January 2008. The endowment typically provides nearly one-fifth of operating revenues. Contributions from individuals, corporations and foundations account for a quarter of revenues, Almost half of the museum's operating money comes from the "park-museum fund," a century-old Hennepin County tax dating to 1911 that provides public support in exchange for free admission. That fund, which has risen steadily in recent years, provided the museum $12.6 million in the fiscal year of 2010. In 2011, the museum's annual budget was at $24.6 million, and endowment income was a total $4.3 million. In August 2016, the institute announced a $6 million bequest to fund the Gale Asian Art Initiative, which is designed to highlight the museum's holdings in Asian art, estimated at 16,800 objects. The bequest was made by Alfred P. Gale, an heir to the Pillsbury flour fortune. The first exhibition of the initiative will be Ink Unbound: Paintings by Liu Dan. Liu Dan, a contemporary Chinese artist has been asked to create an ink painting based on a painting in the museum's collection. Dan chose St. Paul and St. Barnabas at Lystra, a 17th-century painting by the Dutch artist Willem de Poorter. The institute has a number of exhibits outside the building. A pair of Chinese lions sit on either side of the 24th Street entrance. They were a gift from Ella Pillsbury Crosby in 1998. Because a museum curator determined that it would be too difficult to export 18th-century statues, new ones were carved in China in the 18th century style. The bronze statue The Fighter of the Spirit, by Ernst Barlach stands near the 24th Street entrance. The statue shows a winged man holding a sword vertically, tip up, and standing on the back of a snarling beast. The statue was commissioned by the University of Kiel and was originally placed in front of its church (Holy Spirit Church). The statue did not fit with the ideals of the ruling National Socialist party; it was vandalized and condemned as degenerate art. As a result, the statue was removed and cut into four pieces, in preparation for melting down. However, the pieces were hidden on a farm and didn't resurface until 1946. The statue was repaired and placed in front of the Church of St. Nicholas (the Holy Spirit Church having been destroyed during the war). Two copies of the statue were made at this time; the MIA acquired one copy in 1959; the other is in front of the Gethsemane Church in Berlin. The Chinese Garden, which can be seen from inside the café, contains Taihu stones. These stones are said to represent the mountains of the Buddhist and Taoist immortals. The garden was a gift of Ruth and Bruce Dayton. Target Park, which sits behind the museum, contains several contemporary statues, including an untitled work in bronze (c. 1968) by Pietro Consagra, Samba in African granite (1993) by Richard Erdman, and L'arbre de vie in stainless steel and pigment (20th century), designed by Jean Willy Mestach and manufactured by Michael Chowen. There is also a granite and steel pavilion entitled Labyrinth (1993 ) by John Willenbecher. There are wide lines cut into the steel roof of the pavilion so that when the viewer stands inside, the labyrinth can be viewed by looking up. To celebrate its 100th anniversary, the institute purchased a sculpture by the Polish artist Igor Mitoraj (1944–2014). Eros Bendato Screpolato, 1999, is one of a series of bronze "bandaged heads" produced by Mitoraj. Similar Mitoraj sculptures can be found at other public sites, including Market Square in Kraków, Poland, and Citygarden in downtown St. Louis, Missouri. This page was last edited on 15 February 2019, at 13:48 (UTC).